Grace; Potty training,bikes and chickens. How many firsts can you jam into one weekend ? Well…if you are a little 21 month old girl, several as it turns out. Anyone who has ever had a toddler can relate to those moments when number 2 comes knocking and, too young to sit on a dunny, they stand there in complete pain in a little hunch-up with a terrible look on their little face like ” jesus christ mum/dad, something is making it’s way out of my rear end and it HURRRRRRRRTS !!! “. 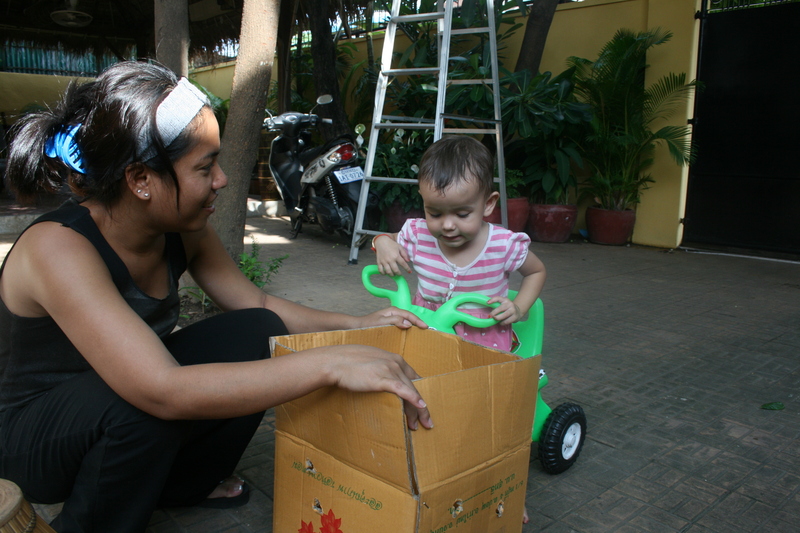 We get a little waring from Grace in the form of her saying “uh ooh” which mummy taught her to say when the need arose. Anyway some time ago I bought a little potty training seat and now when we get the word from Grace we quickly relocate her and it makes things much more comfortable for her…..although from these photos you wouldn’t know it ! Every little kid needs a bike right ? Leakhana has been eyeing off bikes for weeks now and I finally succumbed. 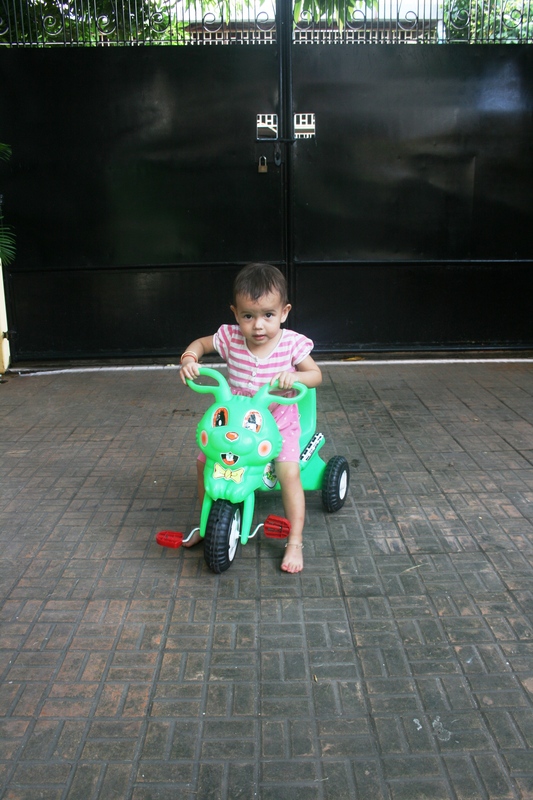 $10 later and we have this terribly unstable tricycle which Grace cannot quite pedal just yet as it is too big. Hi Ho bugsy AWAY ! FIRST # 3 – Pets ! What was your first pet ? A dog ? A cat ? A hamster ? A budgie ? 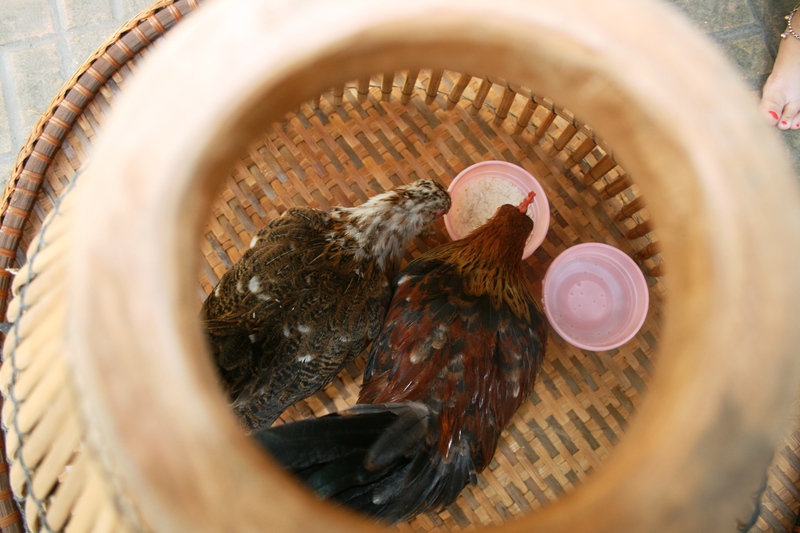 Grace’s are a male and female bantum chickens from Malaysia ( I think ! ) and they are as much for mum as they are for her. Yesterday we hit the pet street and bought these two for $25 total. First shop wanted $30 each ! Anyway, they are nice little birds and mother and daughter are very happy. Now of course I have to get a little house built for them to keep them safe and dry. 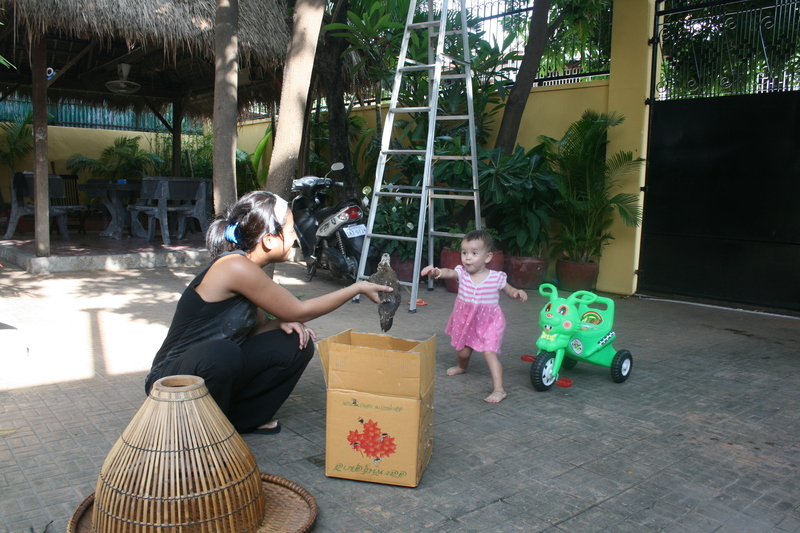 Time will tell how smart a call this was but if Khmers cannot raise chickens who can !! It's time to play "WHAT'S IN THE BOX !?" This entry was posted in DAILY NEWS, FAMILY, GRACE. Bookmark the permalink.